IDC Product Forum 2017 in Reno Nevada Silverthin was awarded IDC Gold Supplier Status at the 2017 IDC Product Forum the week of May 16th in Reno, Nevada. Carter presents Silverthin Thin Section Bearings at Hannover Messe! Silverthin thin section bearings were on exhibition via Carter Manufacturing at Hannover Messe 2017 in the Motion, Drive and Automation fair. Where No Bearing Has Gone Before Silverthin Slewing Ring Bearing used to make Captain Kirk the best swivel command chair in the universe. When they needed the ideal bearing fast, Tackpoint and Silverthin transported over the perfect solution. Read more from Tackpoint. 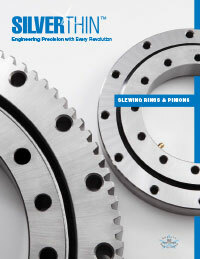 New Slewing Ring and Pinions Catalog from Silverthin Silverthin is pleased to announce their expanded slewing ring	and pinion catalog. The catalog is downloadable from the site, and hardcopy available upon request. Carter Manufacturing Presents Silverthin Bearings at the 2015 Hannover Motion, Drives and Automation Show Carter Manufacturing Limited, the exclusive master distributor of Silverthin in Europe, presented at the 2015 Hannover Motion, Drives and Automation show, featuring the latest of the Silverthin offer including the 40 Inch super precision thin section bearing. 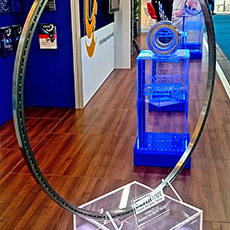 Carter Manufacturing Shows Silverthin Bearings at The Drives and Controls Show 2014 Silverthin Bearings were featured at the Carter Manufacturing Booth for the Drives and Control Show in Birmingham, West Midlands, UK. Click here to read more about the show, and see pictures of the Silverthin product display. What is a Thin Section Bearing and How Does it Reduce Cost? Thin section bearings are a family of bearings designed from a limited number of widths and thicknesses (cross sections), with each cross section manufactured in a wide range of bore diameters. May 2011 - NPB eNews Vol 2 No 5. Thin Section Bearings - Why are there 3 different types? Silver Thin precision thin section bearings are used in numerous exotic and high tech applications. 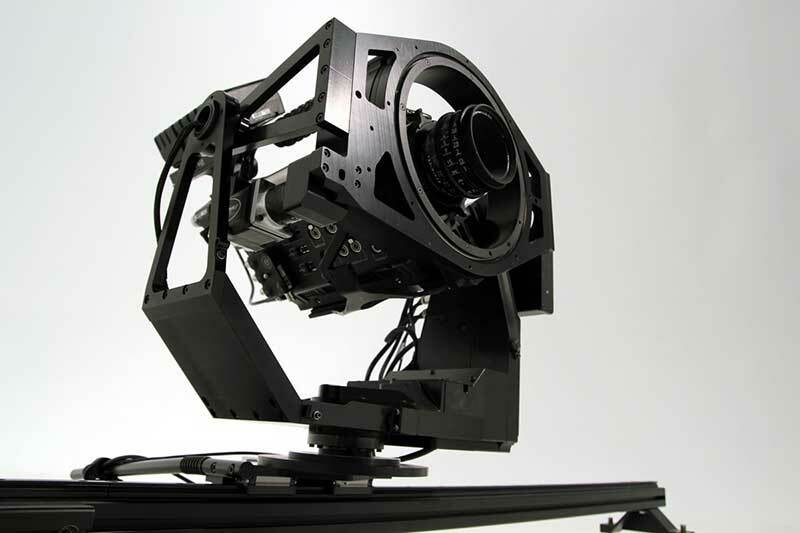 Made entirely in the USA, they provide precision and performance in applications such as robotics, aerospace, machine tools, semiconductor manufacturing and medical equipment. 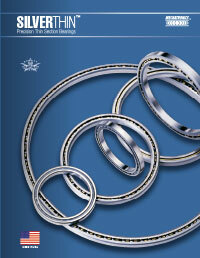 Applications requiring thin profiles are ideal for thin section bearings. Feb 2010 - NPB eNews Vol 3 No 2. Does a 100% USA Made bearing still exist? What is ABEC and how does Silverthin deliver precision?